Today I’d like to share my experience of wearing the two most popular deep concealment holsters everyday for the past 16 months, and clear up some misconceptions floating around on the internet. Deep concealment is simply one method. Its not for everyone, nor is it the best answer for every situation. 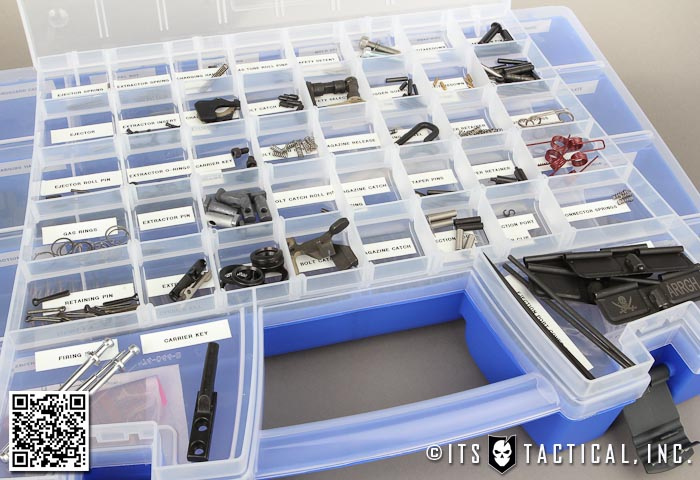 The reason deep concealment works for me, is I never have to change my carry style. 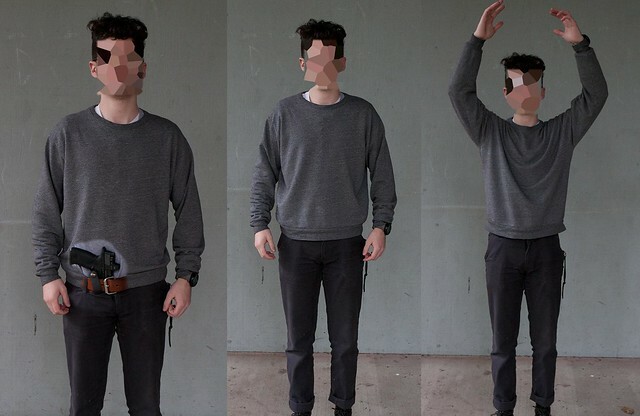 Jeans, shorts, tucked in shirt, it doesn’t matter what the occasion is, deep concealment always works for me. Is it as quick to draw compared to an IWB or OWB (In the Waistband, On the Waistband)? No, and for this reason it may not be for everyone. With enough practice, you can get extremely fast with a deep concealment holster, but in my experience it will never be as fast as other carry methods. What you have to ask yourself is, where are you willing to compromise? Also, do you want to continually change holsters given the occasion? The first 8 months of the last 16 were spent wearing a Thunderwear concealed carry holster, followed by 8 months in a Smart Carry. My standard carry during this time was a Sig Sauer P225/P6, Surefire A2 Aviator Flashlight, and a spare single-stack magazine. I’ve carried everywhere from walking the dog, to cross country road trips, and up and down mountains. I can honestly say I’ve done everything in this holster, including sweating profusely. I’ve tried running, and while neither holster was comfortable during that, neither caused a dropped weapon. 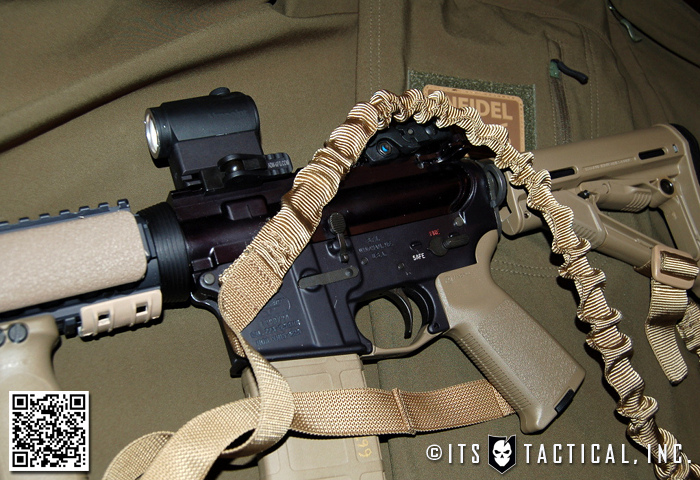 I don’t feel comfortable running with a deep concealment holster and its not something I do. When you’re looking at reviews on the internet with these two holsters, a good way to tell if the reviews are any good is to look at wear marks and elastic stretch, because they’re going to happen. The material will wear, and the elastic will stretch and anyone that’s had anytime in these holsters will have both, it’s unavoidable. Also, SmartCarry and Thunderwear are NOT the same company and never were. 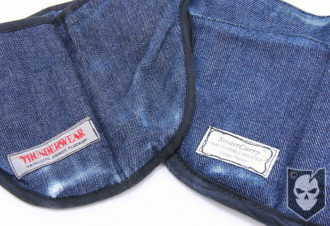 SmartCarry holsters are made of double layer heavy-duty denim with their proprietary “never snag” seams on the top edge of the holster and the pocket. 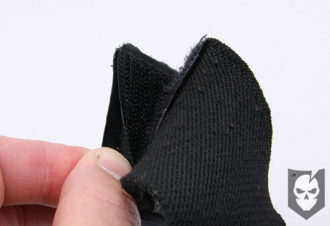 A black binding is used around the lower edge of the holster with the rear featuring a “Cushmax waterproof lining.” The attachment is via a 8 3/4″ velcro connection on an elastic waisband that features a slim plastic insert on both the hook and loop sides of the velcro to give the strips more rigidity. The SmartCarry comes in two models, standard and security. 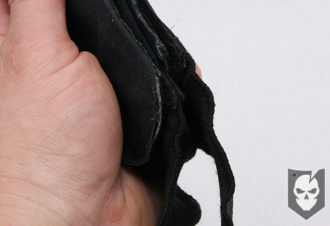 The security model features a valuable pocket in the rear of the holster for carrying cash, credit cards, a passport, or even a pair of handcuffs. They can be ordered in left hand, right hand and ambidextrous configurations. All holsters are available in white duck cloth rather than denim to avoid show-through in white garments. 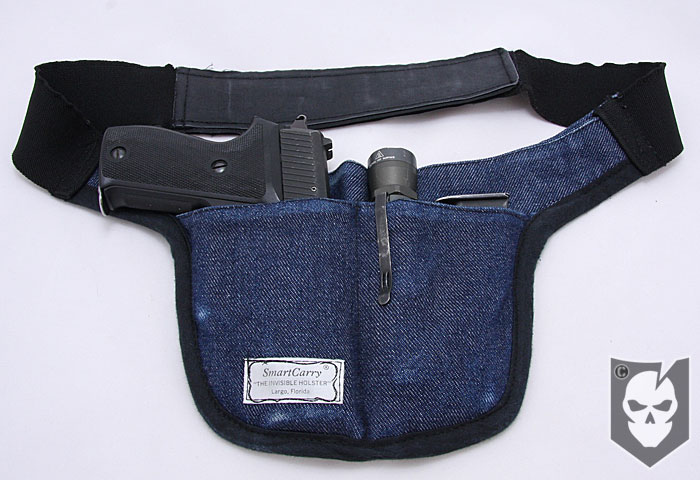 SmartCarry holsters are made in the USA and come with a 60-day trial period to evaluate the product. 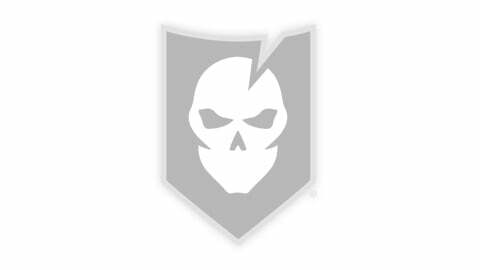 SmartCarry also offers a 10% military discount. 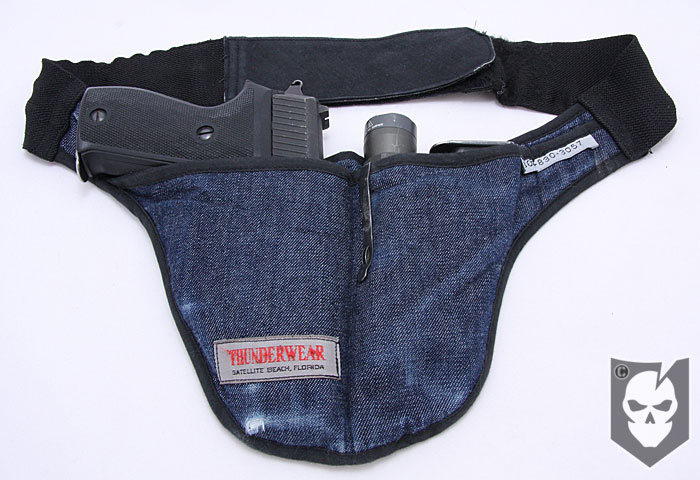 Thunderwear holsters are made of lightweight double-layer denim with binding seams around all edges. 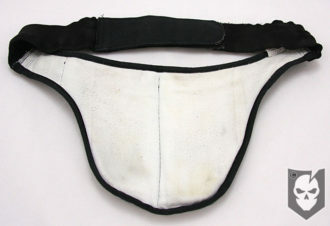 The rear of the holster features a “3-layer moisture barrier.” The attachment is via a 6″ velcro connection on an elastic waistband. 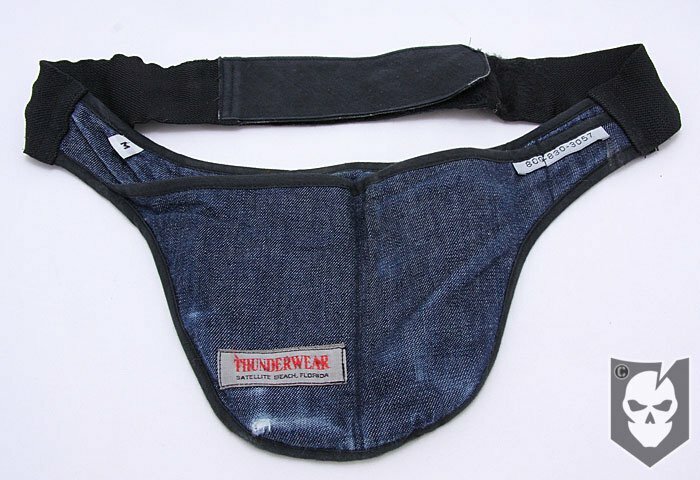 The Thunderwear comes in two models, standard and combination. The combination model features a back pocket in the rear of the holster for carrying cash, credit cards, a passport, or even a pair of handcuffs. The combination model accomodates left, right or ambidextrous configurations and comes in a small, medium or large frame size. Thunderwear holsters are made in the USA with a 100% satisfaction guarantee. When it came to the fit of these holsters, I truly felt that the added rigidity of the SmartCarry velcro attachment made a tremendous difference in the overall comfort of this holster. 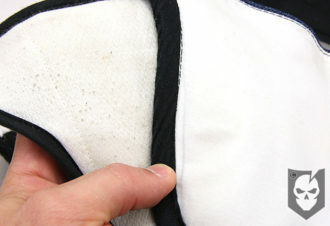 With both, you have to make sure the velcro is lined up well if you don’t plan to have a shirt tucked into it, as exposed hook velcro will constantly bother you if not. 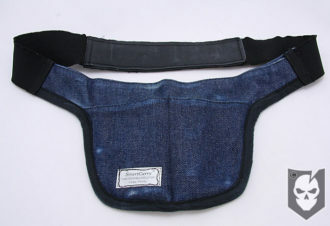 The SmartCarry elastic is also thicker and didn’t allow for as much sag as the Thunderwear did. 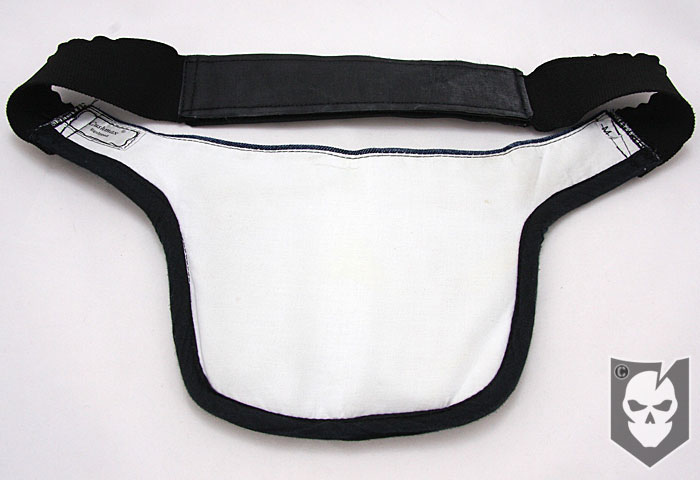 While these holsters are supposed to ride on your hips and not the waist, having the elastic stretch too much can also cause it to ride lower than necessary. 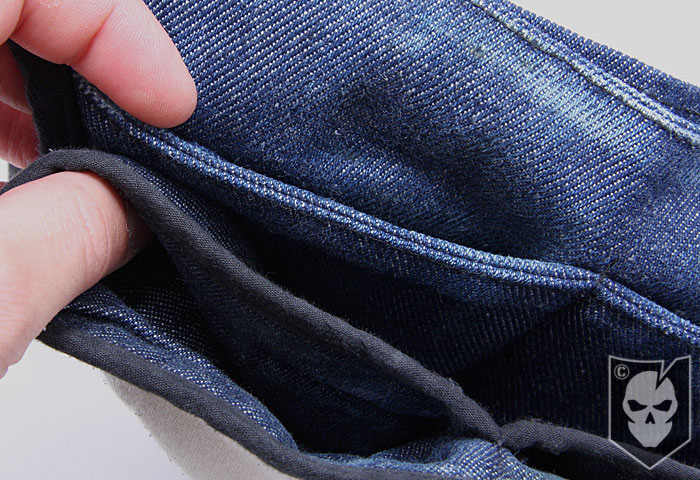 In terms of material, the double-walled denim material that SmartCarry offers is thicker and less prone to wear over the thinner double-walled denim that Thunderwear uses. Seams are a huge issue when it comes to drawing from concealment, and SmartCarry’s “never-snag” seams are true to their name. Thunderwear’s seams can and have snagged on my weapon upon drawing. While I have yet to wash either of these holsters, the instructions on both say to hang dry them. The diaper cloth like “3-layer moisture barrier” of the Thunderwear has definitely picked up stains from what I know is surface rust coming through from the side of my P6. The front pocket on the Thunderwear where my gun is kept definitely has rust marks. I also commonly saw condensation build up on my weapon after perspiration or long wear with the Thunderwear. I had the slide of my P6 parkerized about two years ago, but when it gets moist, surface rust occurs. I see absolutely none of that surface rust in the SmartCarry, and this was the holster I wore in the later 8 months of the testing. If there was surface rusting coming through it would have been on this holster too. That leads me to believe that the “3-layer moisture barrier” is not truly a moisture barrier on the Thunderwear, and the Cushmax is a superior moisture blocking material. 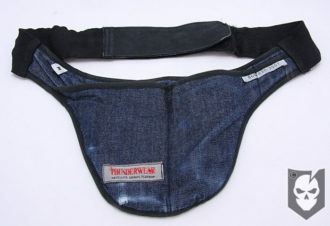 This also may have to do with the thicker denim too. With all the subtle differences of these deep concealment holsters, and all the time I’ve had in them, the SmartCarry holster wins hands down. It not only outperformed and outlasted the Thunderwear, but it’s more comfortable, stays cleaner, fits better and resists moisture better than the Thunderwear. While you’re free to make the same tests yourself, these are my experiences and are based on a thorough 16-month testing and evaluation period. If there are any specific questions I didn’t answer in the review or video below, please post them to the comments and I’ll do my best to answer them. Also let me know what kind of holster you run, and how versatile you feel your concealed carry options are. Check out the video below for proper deep concealment holster wear, draw, and more details comparing these two products.